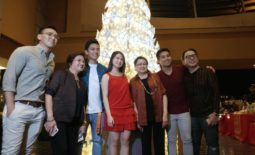 Showbiz Royalty Clan, The Gutierrez renews their reality show “It Takes Gutz to be a Gutierrez” for another season. July 31st is the targeted date for the launch of Season 5’s first episode on E! Asia. 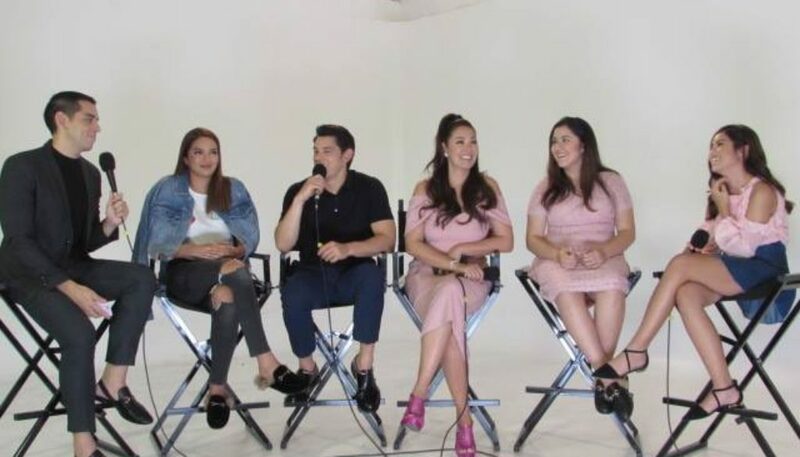 Richard, Raymond, Sarah Lahbati, Ruffa, Lorin and Venice were in attendance last Wednesday to answer personal and show related questions by the fans via Facebook Live. So what is in store for us this 5th season? One of the notable changes this season is Richard’s New TV network transfer and Raymond’s journey towards being fit. 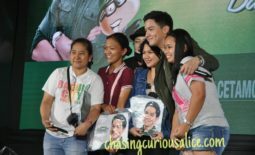 Richard also hinted that there will be a life-changing moment such as there would be another addition to the growing family. Every season is not complete with family travels and Sarah Lahbati gushes about their recent trip in Switzerland. Ruffa smiled and stated that she wants to meet Kim and Kanye and everyone else. Raymond on the other hand wants to see how the Kardashians set their production and the process of filming the reality show compared to the local version. Raymond also mentioned that he wanted to crossover to the new show “The Life of Kylie” because he finds Kylie to be the dark horse of the family who rised up to be “The Boss” eventually. Raymond has gone through a complete weight transformation and is geared towards a healthier lifestyle. Fans wanted to know his insight on the food to avoid which he answered with junk food, rice, pork, and anything that was too sweet or salty. Raymond’s Instagram feed is a source of fashion inspiration as he also covered Fashion Week events but this season the fashion travel is temporarily on pause as Raymond wants his full attention on his career locally. Everyone is anticipating if Richard is going to propose this season which Richard answered “Stay Tuned” while smiling. Sarah confirmed that there would be a lot of family bonding this season and one in particular that we will all see is their trip to Switzerland, which was special as they taught Zion how to ski. Sarah also gave us details on their new baby and clarified that she is not pregnant. What she means is their new dog Mason will also make an appearance on the new season. Venice and Lorin stated that they are already comfortable with the concept of having a reality show and they are used to the presence of cameras. Ruffa’s top 5 advice to both her lovely daughters is to finish college and hopefully get their masters in an Ivy league school, ” and don’t have a boyfriend until 30 she jokingly said. Lorin rebutted with a joke that Ruffa had her at 27 and Venice seconded with Ruffa having love teams at the age of 13. Ruffa continues with her advice to study hard, Always have God in their lives and to always respect her. Venice was asked if she wanted to enter showbiz which she answered with studies being her priority. But she also has a desire to pursue showbiz which Ruffa already confirmed that Venice is already having dance lessons with G-force. Venice jokingly said that maybe when she turns 3 in a couple of months, she might consider joining showbiz. She turned to her mom and asked for approval which Ruffa answered while laughing with “No Ka Love teams that’s where it all starts, they are going to fall in-love with their Ka-Love teams”. Richard stated that Venice will fly solo. Catch the premier of “It takes Gutz to be a Gutierrez on July 31st only on E! What Can a Hug Do?